WASHINGTON – As tensions exploded after the death of 25-year-old Freddie Gray while in custody of Baltimore police in 2015, the Rev. S. Todd Yeary joined hands with other people of faith in the turbulent streets of his city and began to walk. The group stopped as they saw police and spontaneously dropped to the ground to pray in the middle of the anticipated violence between authorities and an angry crowd. Rev. Yeary, along with Archbishop William E. Lori of Baltimore and Baltimore Police Commissioner Kevin Davis, recounted the tough times their city faced but also the healing role that faith has played at a May 3 panel on “Violence, Faith and Policing in Baltimore” hosted in Washington. The three spoke of their “partnership” in the community and how it is helping them better serve the city as it moves forward following a period of unrest and violence. But there’s something that faith teaches and that’s love, Archbishop Lori said, and loving the people of the best and even the most downtrodden neighborhoods can help change a community’s environment. The Catholic Church, like other faith communities in the city, have members in all those Baltimore microcosms and are not just people working in an office “disconnected” from the city’s reality, Archbishop Lori said. When the violence took place in 2015, Archbishop Lori recalled making a visit to one of the neighborhoods affected and saw one of the diocese’s priests with a broom on the street. Catholics and many other faith communities helped the affected areas of the city reconstruct and attempt a path toward healing, Archbishop Lori said. Davis said there is much that police can learn from communities of faith and there is a lot of cooperation that can take place to help society. In the 1980s and 1990s, as the crack epidemic was affecting the country, police departments felt “cornered by violence” and law enforcement officers responded by imposing their will as departments became more “paramilitary,” he said. But that wasn’t a good strategy and only helped to widen the gap between police officers and the communities they serve, he said. Police work, too, is a vocation, Davis added, and some departments are trying to find their way back to “serving” a community, to show that officers are there to help communities and not to hurt them. Partnering with members of faith communities helps police do better work in getting to know a community, developing trust and even employing strategies to diffuse potentially violent situations, Davis said. 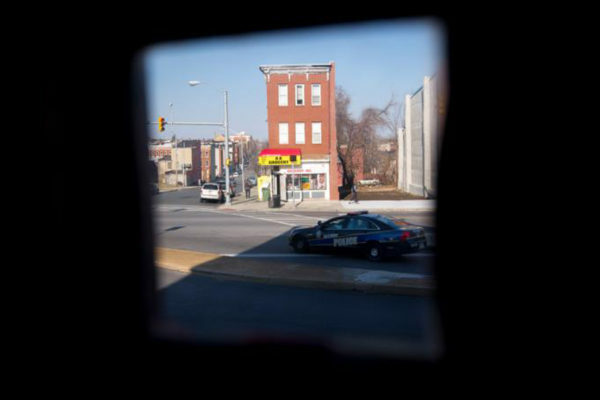 In fact, after watching the calming effect that pastors and other religious leaders had on what could have been a volatile situation during the Freddie Gray protests, Davis said he had an idea. “The inspiration for the police chaplains was the Baltimore clergy that literally stood between the civil disturbance (and) police,” Davis said. With clergy and religious leaders nearby, tensions were kept at bay, he noticed. At the time of the violent demonstrations in Baltimore in 2015, the police department had no police chaplains on its force. Now the department counts 134 chaplains who have undergone training. The department “mixes and mingles” chaplains in with protesters, as well regularly uniformed police so that everyone can co-exist, learn to trust one another, and remain calm even while demonstrating, Davis said. “It’s hard to say ‘no’ to a police chaplain who spontaneously declares ‘we’re going to have a prayer circle.’ No one can say ‘no’ to that no matter how angry or upset you are. I’ve watched it,” Davis said. Prayer has served to diffuse crowds on more than one occasion, he said. “We’re convinced that mixing the faith community with our daily operations is something that has paid dividends for us,” Davis said. Archbishop Lori said he was hoping that others would see the importance that faith plays, and not just for the members of a particularly religion or congregation. The point is to serve the wider society, he said, and the partnership with police and faith leaders is a good example. And the relationship between authorities and religious leaders lasts beyond a particular event or tragedy, Archbishop Lori said. The archbishop, Rev. Yeary, along with other religious leaders and the Baltimore police commissioner, make it a point to regularly get together, share a meal and discuss ways to help their community.